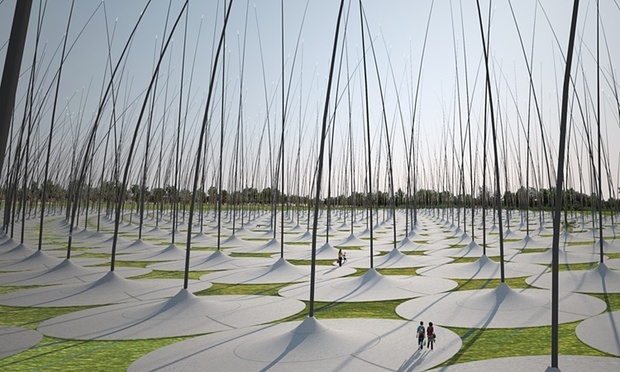 Public art projects that double as renewable energy sources | Guardian Sustainable Business | The Guardian. via Is this the biggest economic revolution in 250 years? 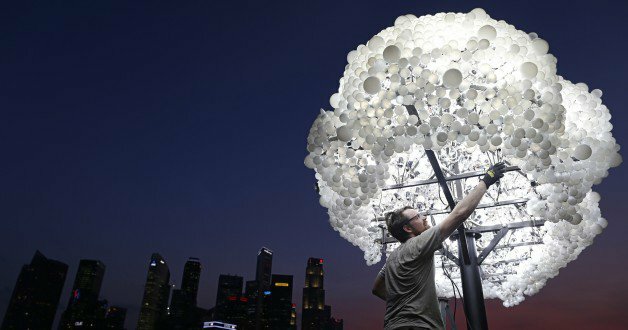 – Agenda – The World Economic Forum. I recently went diving among some of the amazing coral reefs of Indonesia. Their sheer beauty is beyond description, and their value is beyond calculation. But let’s try to put it in perspective. 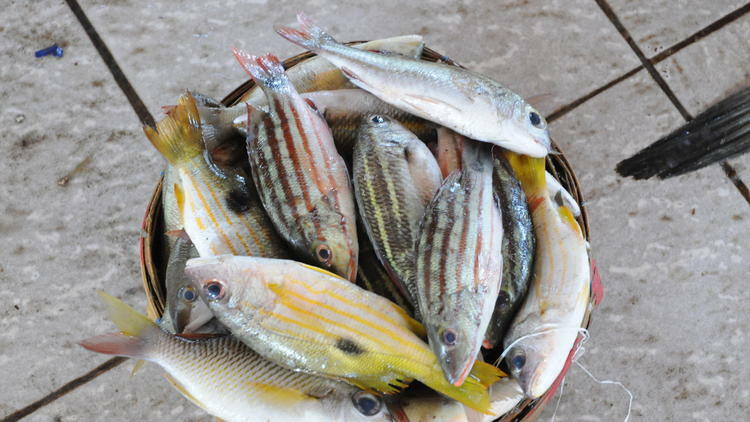 The World Wildlife Fund recently estimated that the total asset base of the ocean is valued at US$24 trillion, and the annual “gross marine product” is at least US$2.5 trillion. If the ocean were a country it would have the seventh largest economy in the world – larger than Brazil’s or Russia’s. 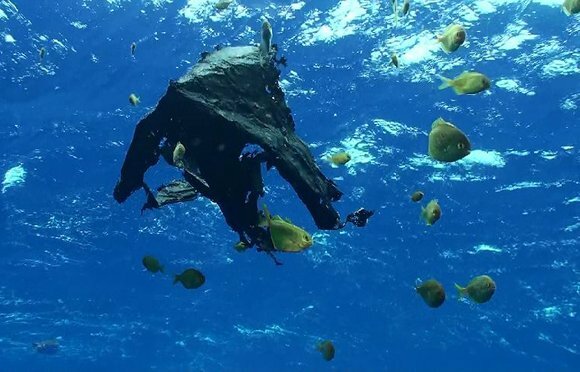 A few years after our trip (sailing from Sydney to Fiji), a yacht sailed through the epicentre of the gyre north of the equator and discovered a giant raft of floating plastic. This infamous area of debris has since become known as the Pacific Plastic Soup and stretches from about 500 nautical miles off the coast of California right across the north Pacific to near the coast of Japan. The plastic, originating from countries around the Pacific Rim, including Australia, the US, China and Mexico, has been concentrated in the central area of still water around which the currents circulate. Such vast central areas of gyres are rarely crossed by boats and it’s quite likely that there are more of these shameful plastic soups in similar areas around the world. And, as the degradation rates of plastic are very slow, the areas will be around for a long time. Some of the debris I have found on sandy islets, many miles from land, includes cigarette butts, lighters, cans, plastic bags and bottles, foam food containers and toothbrushes. 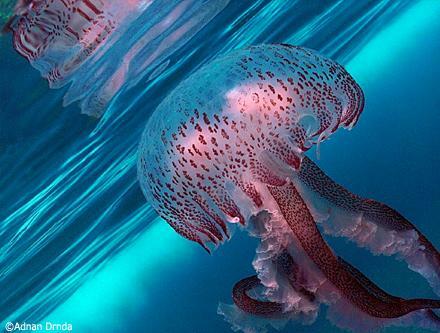 Netting and drink packs choke several marine species, plastic bags are mistaken for edible jellyfish by turtles and plastic crates break corals as they tumble over reefs. And if the presence of large items of plastic refuse wasn’t enough, a recent Australian survey found that sand on beaches around the world is contaminated with microplastics – bits of polyester, acrylic and nylon less than one millimetre in size – that have entered the sea from laundry waste water through sewerage systems. At this stage the effect on marine food webs and sea life is not known, but it’s unlikely to be benign.